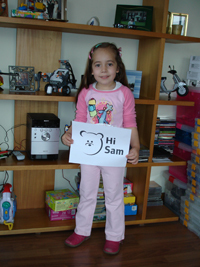 Please keep on sending your Hi Sam pictures and messages to stuff4sam@gmail.com We want more from more countries to make the list grow! Your dad told me that you were in LEGOLand and you really enjoyed it. I told my friends in LEGO about you and they wanted to say hi. So here is a “Hi Sam” from LEGO Brazil, Chile and Argentina. 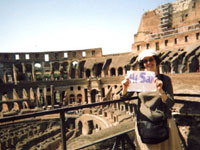 This is me at the famous Colosseum in Rome, which was built about 2000 years ago!